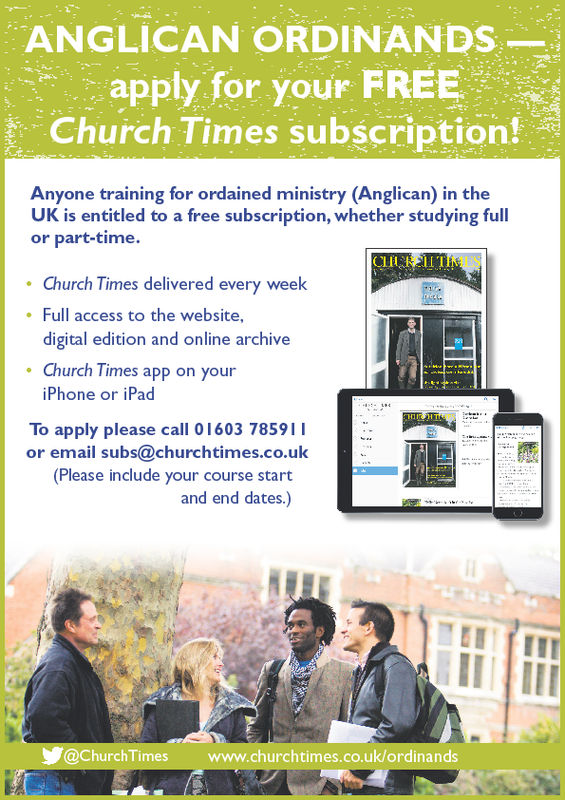 Anglican ordinands in the UK are offered a free subscription to the Church Times for the duration of their training. This includes both print and digital editions. Those in the Diocese of Europe can receive a free digital-only subscription.